When it comes to advertising in 2019, there’s no doubt you need to go digital. There’s also a bevy of options to choose from – from Facebook to Google AdWords and more. While we often suggest these for both B2B and B2C clients, when it comes to consumer-facing businesses with brick and mortar locations, we can’t forget to mention Yelp and its advertising services. Continue reading to learn about Yelp, why it matters, and how advertising on the service can potentially help your business. Influencing people at a critical time. People turn to Yelp when they’re ready to make a purchase. Take finding a new place to eat as an example. Most people will use the app or site to scout out a venue, read the reviews, check out photos, and ultimately choose whether or not to eat there. If you’re not on Yelp, you’re missing out on reaching people at a critical moment. Responding to customers. The 21st century makes it easy for consumers to review their favorite brands – positively and negatively. With Yelp, you can and should reply to both. When it’s positive, you can respond with a thank you to show your gratitude. When it’s negative, you can rectify the situation and show future customers you care. SEO. Google considers Yelp an “authority site” meaning it carries more weight and can increase traffic to your website. Your Yelp page allows you to link directly to your website, which also helps boost Google rankings. Business Information. Yelp is an additional means to provide critical business information to your consumers, like your store hours, policies, address, and more. Customers want transparency, and Yelp offers a spot to showcase just that. Potential customers on Yelp search for food, products, and services – generally ones they are unfamiliar with or semi-familiar with. For example, most people recognize Target and can quickly tell you where to find the closest one. On the other hand, they make not be as aware about small to medium-sized businesses, making Yelp ads more valuable for these companies. Local businesses also benefit from Yelp and Yelp ads. Yelp users have a strong intent to buy. A recent study by Nielsen revealed 82% of Yelp users are there because they’re ready to buy a product or service. So, truthfully, anyone who wants to capitalize on that large percentage of purchase-driven consumers may find success in Yelp Ads. Like other paid ads, Yelp ads offer options to fit your unique marketing goals. Here are specific features of Yelp’s platform that allow you to capitalize on someone who is searching in your area for your type of business. Flexible. 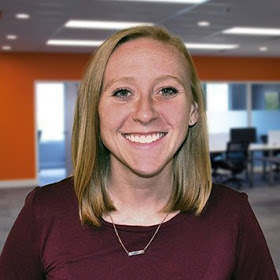 For some marketing departments, creating ads with a specific start and end date is necessary to stay within their budget or campaign criteria. Others may opt to set something and let it run until their team feels it’s complete. You can do both in Yelp ads – and you can set them up at any time by following simple steps similar to Facebook or Instagram’s interfaces. Budget Control. As alluded, not all marketing department budgets are the same. Some companies dedicate large chunks to online advertising, while another company may prefer to dip their toes slowly into the advertising pool. With Yelp, you can set a daily budget, starting with $5, and increase (or not) as your ad runs. Customized Ads. When Yelp first introduced ads, marketers were not in control of which photos or positive reviews were highlighted. Now they can pick and choose what their audience sees. For those uncertain what will perform best, Yelp’s two-step machine learning process selects these items for you. Then you can take that knowledge and run with it in future campaigns. Three Display Options. You can select from three prominent areas to display your Yelp ads: mobile apps, competitor pages, and search result pages. The search result pages refer to the directory of service providers on Yelp. For example, a mechanic may display their ads on the “auto repair stores in Phoenix, Arizona” search directory if they select that type of ad. Remember that Nielsen report we mentioned? Not only does it show users are on Yelp with the intent to buy, but they follow through. 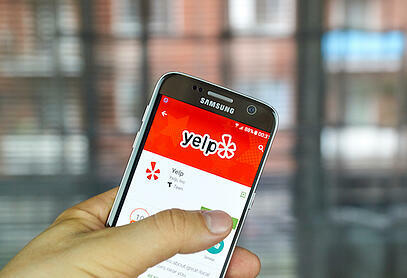 A massive 92% of adults surveyed said they purchased after visiting Yelp. Now, like all advertising, you’ll have to spend some money to see results. But with Yelp and consumer-driven businesses, your ad dollars can go further faster. Consider this: You pay $350 on your advertising budget for your high-end nail salon. The next week a group of four women – one of whom saw your ad – come in, each buying your deluxe treatment with a nice tip at the end. Right there your ad budget pays for itself. 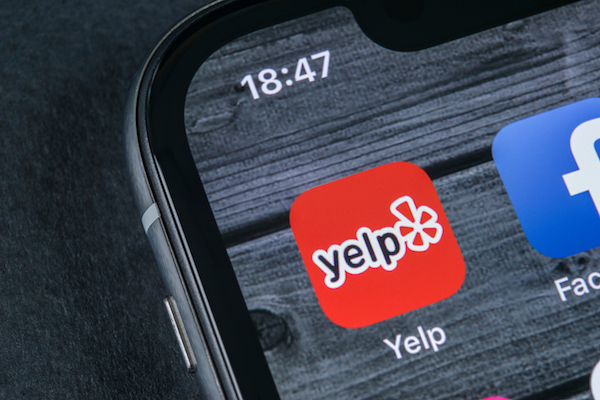 Consumers who use online review sites trust Yelp more than any other – making Yelp and Yelp ads more influential in final purchasing decisions when compared to other review and social media platforms. 85% of people who find businesses they like on Yelp share them with their friends. All this data and everything else previously described suggests Yelp users know what they’re trying to do with the service and know what they’re looking for. More often than not, they are ready to go to your store or buy a product from your company sooner rather than later. That means advertising to them drives more qualified leads to your company. So, Will You Use Yelp Ads? Ultimately, whether you choose to advertise on Yelp or not is up to you. But for in-person, service-based industries, it’s a good bet when driving purchases. That being said, you should at least have a presence on the website and its app. And, as inbound marketing experts, we always suggest some paid social advertising. We can’t help it. To get more advice on Yelp advertising – or any – contact us today.